2019 SPRING SPORTS REGISTRATION IS NOW REOPENED. If you need assistance with registration, contact rSchoolToday at: support@rschooltoday.com or (952) 960-4999. CBA will not be able to help you recover your login credentials. **REMINDER: All students must have their Annual Physical on file in the Nurse’s office by August 1st. *The late penalty will go into effect if the entire registration process is not completed by this date. Spring Athletic Participation opens on February 1, 2019. From this point forward, registration for Athletic Participation will be done completely online, including the CBA Athletic Participation Permission and Health Update Form. You do not need to submit any paper forms. Deadline for Spring Registration is February 20, 2019. Online registration will close at midnight on February 20th and you will no longer be able to access the registration. Students may participate in one (1) sport per season (Fall, Winter, Spring) and the registration process must be repeated each time your son wishes to participate in a sport. Please only declare one sport that your son wishes to try-out for. If he does not make the team, he may be allowed to join another team if they are still accepting new athletes. 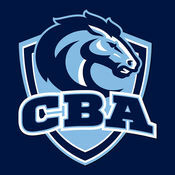 If your student has never participated in a sport at CBA you will be asked to create a user name and a password that you will be required to remember. This will be your log-in credentials anytime you would like to register for sport participation at CBA going forward. Please write it down. If you are a returning user and you would like to add a new student, please log in with your existing user name. After you log into the Registration module, please follow the registration process, paying special attention to our new online form called “CBA Athletic Participation Permission & Health Update” and answer all questions being asked. If you have any “Yes” answers please be sure to include an explanation. Once all participants have been cleared, students who did not complete the online registration by the February 20th due date will have an opportunity to register. Late submissions will result in loss of tryout/practice time and possibly game participation. This policy will be handled and enforced by the CBA Athletic Director.